La De Da Salon | What people are saying…. I recently had an appointment with Natasha, and she was amazing! I went in for highlights, cut, and style and I was very pleased with the results. My hair was a mess, tangled and unmanageable! She was very careful as too not yank my head around while brushing my hair and made sure to check if I was comfortable. She took her time with my hair and was very easy to talk to. My whole appointment was 5 hours but it seemed to go by so quickly since she engaged in conversation with me. This is my first experience with a hair stylist where I feel like they listened to what I wanted and made the entire visit so enjoyable! I love my hair and am excited to go back to add more color! I saw Natasha last week to do something new for fall. I wanted to cut about 6in. off and have a sleek new look. She has been doing my blowouts for a while now and is new to this salon. I walked in and was greeted by all of the stylist there while I waited a short time. Everyone was soooo nice and made me feel right at home. Everything Natasha did, from the great scalp massage during the wash, to the very end result was absolutely perfect!!! I have gotten compliments at school, work, and randomly at Target on my hair. Also, a lady at the salon opted for the exact same cut when she saw my end result. Talk about feeling special!! We did a dark brown color for fall as well and my hair has never looked healthier. So shiny!!! We only use the best quality products to get and keep your blonde looking great! 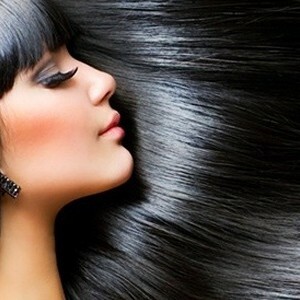 Currently using Brazilian Blowout and Keratin Treatments for silky smooth hair.